To connect a 2x3 downspout into 4" pvc pipe. 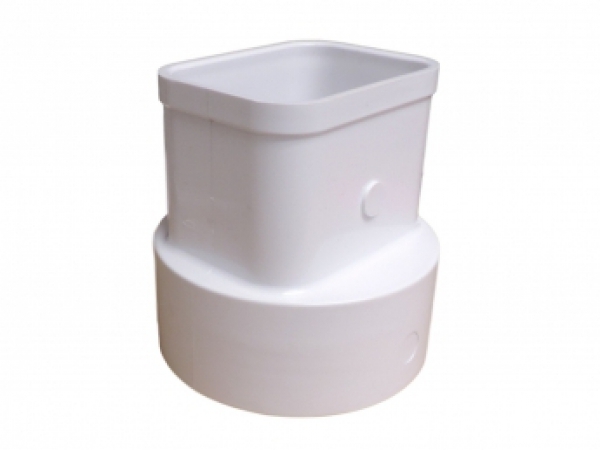 White tile adapters are compatible with the solid white and green drain tile (also known as SDR 26 or SDR 35). Approx. 3 1/2" x 2 1/2"
Pipe inside dimensions 4 1/4"